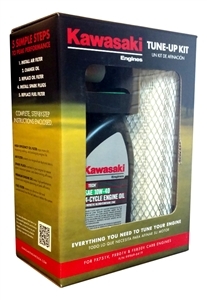 Searching for oil and fuel filters for Bad Boy Lawnmowers? We’ve got you covered! With quality, affordable OEM oil, fuel and air filters from Bad Boy Parts Online, you can replace your filters as often as you need without breaking the bank. Replacing an air filter is one of the easiest lawnmower replacement jobs, and allows your mower’s engine to continue running efficiently. Replacing a mower air filter is one of the easiest replacement jobs, and allows your mower’s engine to continue running efficiently. It’s recommended you replace your Bad Boy ztr lawnmower filters annually, however if you mow often, you should replace them more often (if you start to hear the engine stutter or struggle to start). We’re proud to provide you with a wide selection of Bad Boy filters online to meet all your replacement parts needs. Contact us today if you have questions or can’t find what you’re searching for! Complete Air Canister-23 Brigg. Bad Boy Part # 063-8090-00 or 06389000 Canister Assembly -26/27hp Kawasaki - Bad Boy Part # 063-3000-00 or 063300000. For FX751V, FX801V & FX850V CARB Engines Canister Filter Cover-23 Brigg - Bad Boy Part # 088-1060-00 or 088106000. Air Canister Bracket-23 Briggs. Bad Boy Part # 063-8091-00 or 063809100. Diesel Air Filter - Outer.Bad Boy Part# 063-2050-00 or 063205000. Canister Air Filter-23 Vanguard. Bad Boy Part # 063-8050-00 or 063805000. Diesel Air Filter - Inner. Bad Boy Part# 063-2060-00 or 063206000. Rain Cap-Fits all Canisters. Bad Boy Part# 063-2045-00 or 063204500. 21hp Briggs Air Filter and Precleaner. Bad Boy Part # 063-4026-00 or 063402600. Air Filter/Precleaner-27hp Kohler Bad Boy Part# 063-8080-00 or 063808000. Commercial Canister Air Fil Outer 2010 & Old. Fits all kohler or Kawasaki or Briggs engines. Alternate part# KH-25-083-01-S, 25-083-01-S. Bad Boy Part # 063-8019-00 or 063801900 Type a Air Filter - 27hp Kawasaki. Bad Boy Part# 063-8015-00 or 063801500.